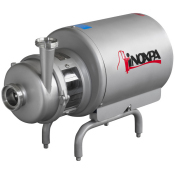 The Estampinox EFI pump is a stainless steel centrifugal pump ideal for the transfer of water and other low viscosity liquids. 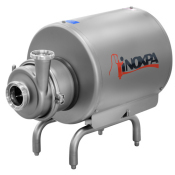 It is designed to cater for the needs of auxiliary services in the food-processing, chemical, pharmaceutical and wine-making industries. 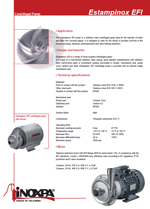 Estampinox EFI is a range of close-coupled centrifugal pumps. 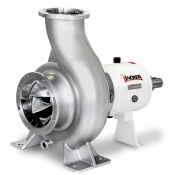 It is made of a cold-formed stainless steel casing, open impeller manufactured with stainless steel cold-formed plate or investment casting (according to model), mechanical seal, pump cover, lantern and shaft. 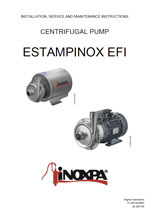 Estampinox EFI centrifugal pump is provided with an internal single mechanical seal. 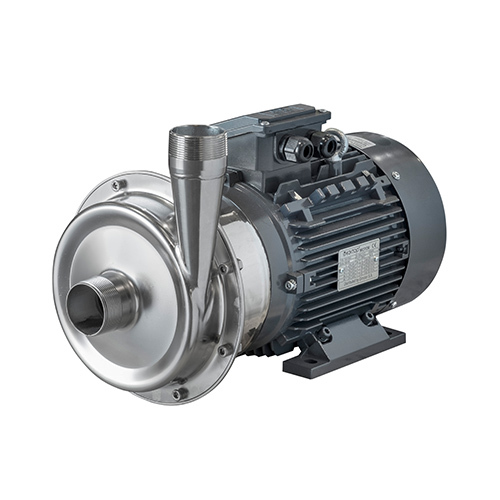 Triphasic induction motor with B34 flange (B35 for motor frame 132), in compliance with the IEC standards, 2 poles = 3000/3600 rpm, efficiency class according to EC regulation, IP 55 protection and F-class insulation. AISI 304 stainless steel motor shroud. 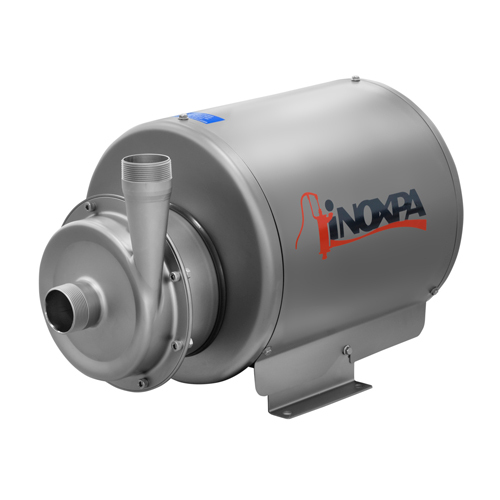 Motor with other voltages, frequencies, mechanial protections and efficiencies.